ITM Financial sig alert indicator (standard use). 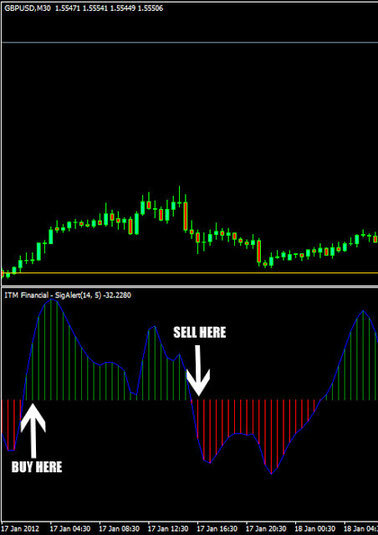 Buy at the open of the second green bar of the ITM financial sig alert indicator. Sell at the open of the second red bar of the ITM financial sig alert indicator. 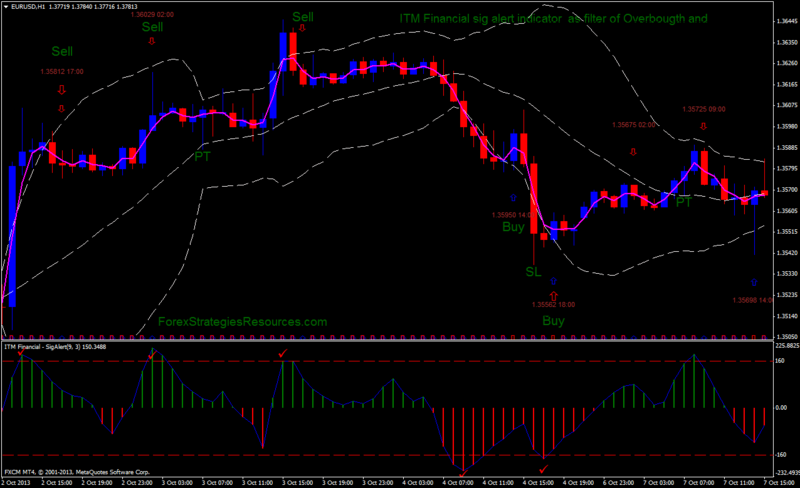 when the ITM financial sig alert indicator go in oversold area, wait the first buy arrow of the IStochasticTXT indicator. when the ITM financial sig alert indicator go in overbought area, wait the first sell arrow of the IStochasticTXT indicator. 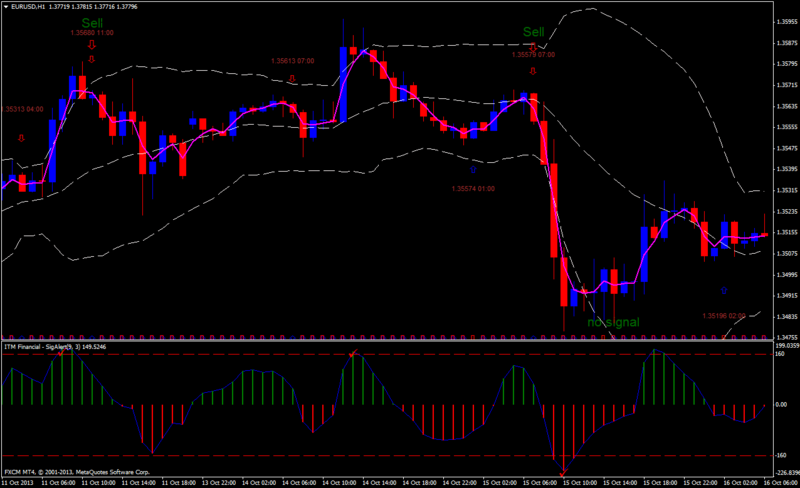 Profit Target at the middle line of the bollinger bands. Place initial stop loss 15 pips or more below lower band of the BB for buy and 15 pips or more above the upper band of the BB. 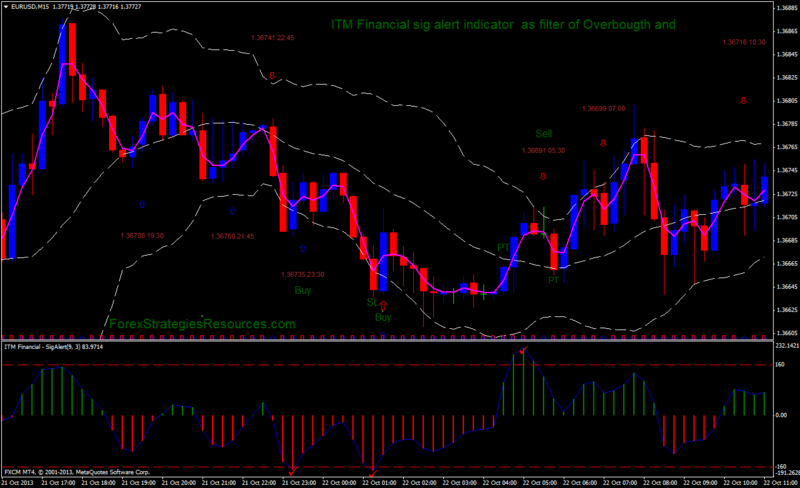 In the pictures below ITM Financial sig alert indicator as filter of Overbougth and Oversold. I have tried to intall the ITM sigalert but it sows somthing else it does not even have the bollinger bands could someone please help me.I would highly appreciate.